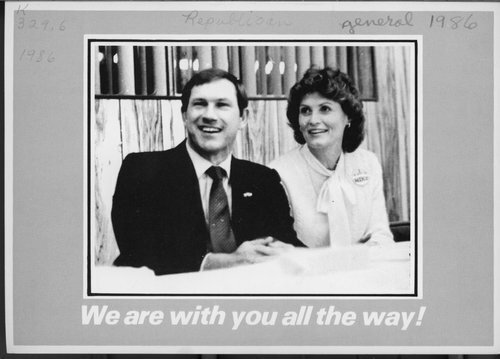 This political postcard shows Republican candidate for Kansas governor, Mike Hayden, with wife Patti and the slogan "We are with you all the way!". On the back of the card, voters are urged to vote for Hayden because of the experience and the leadership he will bring to the office. In the November general election, Mike Hayden defeated Democratic challenger Tom Docking for governor.